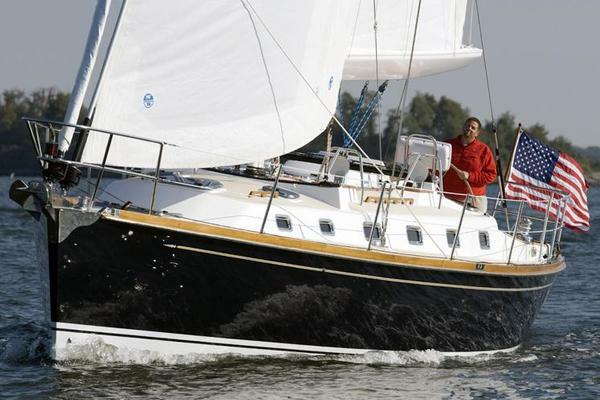 Tartan Yachts are among the most reputable sailboat builders in the world. Using a resin-infusion process on their hulll creates a boat that is durable strong, and lighter-weight than their competition. Tartan also builds Legacy Yachts for the downeast owner. 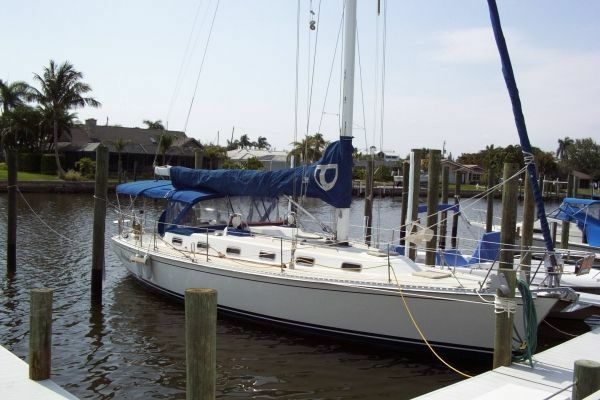 Let the team at United help you find the right used Tartan Sailboat that fits your needs. Decades and decades has Tartan Sailboats has made history. The resourceful designers, engineers and boat builders of Tartan Yachts have continuously established new standards from performance to quality. Tartan Yachts has been able to do just that by staying true to themselves and the company, all while providing the owners with a Tartan Yacht that delivers both luxurious accommodations and a safe, well-mannered sailing performance, in all conditions of the sea. In 1960, Tartan emerged on the sailing yacht scene, with Charlie Britton at the helm. 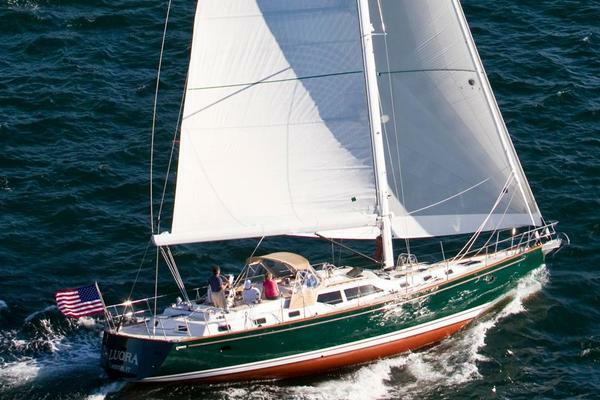 Charlie developed the company’s first model, the Tartan 27, thanks to a collaboration with the renowned design firm of Sparkman and Stephens and builder Douglass and McLeod of Grand River, Ohio. Jumping into the seventies, Tartan continued to expand the company and develop new models. During the eighties Tartan experiences a great deal of change. John Richards and Jim Briggs took over the reins from Charlie and close to the mid-eighties is when the new development of several Tartans started. 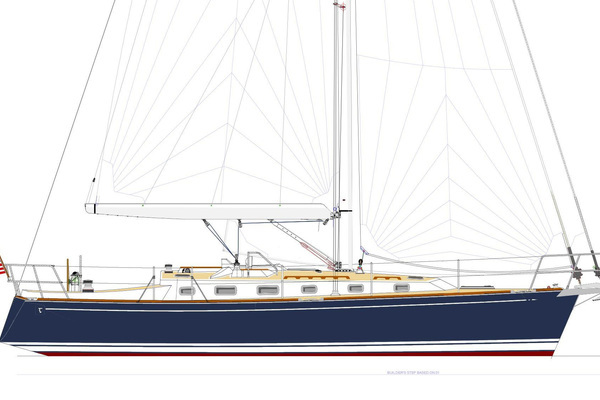 The first complete in house design was the Tartan 31 and Tartan 372. Both these yachts were Cruising World Boat of Year winners in their early years. The late nineties is when Tartan acquired the C & C brand and began to development several new models. Although Tartan experiences a large deal of success with the C & C brand, launching nearly 400 Tartan build C & C’s over a 10 year production run, unfortunately the C & C brand was eventually licensed to another builder which allowed Tartan to focus on its core product, luxury cruisers with great performance. Today, with over 5,000 hulls launched, Tartan still continues to adhere to the foundation of great designs, exceptional craftsmanship and leading technology and let’s not forget about the uncommon comfort and performance. 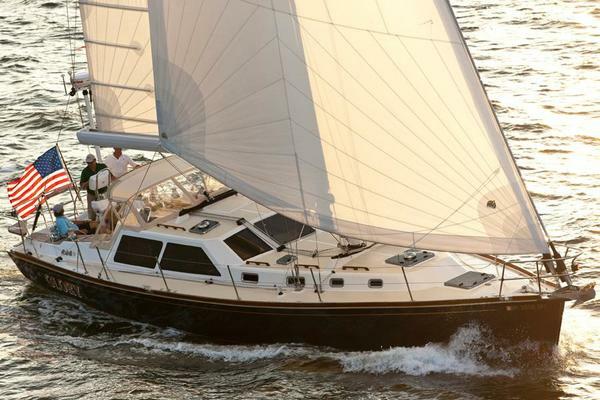 With a length of 53 feet in total, the Tartan 5300 is an astonishing sailing yacht. The hull is made with a NPG isophthalic gelcoat and an infused BPA modified epoxy. Going inside of the Tartan 5300 you will notice the solid stock cherry trim throughout and the raised panel cherry passage doors. The locks and hardware are polished chrome, as well as the hardware on all the cabinets. The fabrics onboard are a selection of designer fabrics, from Ultra Leather to Ultra Suede. Looking what runs this grand sailing yacht are 106hp Volvo Diesel engine with a 125 gallon fuel tank capacity. As for the engine room, there is a ventilation system with two thermostatically controlled fans, making sure nothing ever heats up. The Tartan Fantail Daysailer has efficient high performance and a “green” sailing experience, perfect for the beginner sailor. The Fantail is not a “retro design” or a white knuckles racing boat, but rather she is well-mannered, controllable sail plain with a contemporary performance design and classic lines making her sleek as no other. The hull is made with a NPG isophthalic gel coat for superior gloss retention and she also comes with a non-prorated 15 year hull structural and blister guarantee. Her deck is a balanced composite laminate and reinforced at high load areas with additional piles of bidirectional “E” glass reinforcement. Full customization and personalization for the experienced yachtsman. Did you know Tartan Yachts is also a full customization yacht designer and builder? Now you do! Over the years the company has found that Tartan and more recently Legacy owners are a bit different from many other boating enthusiasts. Most of them have years and years of experience out on the open sea, and majority of them owning several boats in their lifetime. 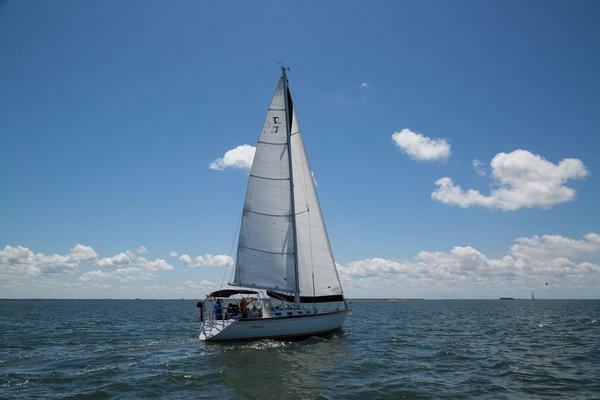 When they go to consider a new boat, they generally have a well-developed idea of what it is that they are searching for based on what is most important to them during when they are sailing. Tartan and Legacy yachts are very personalized to meet each individuals needs but of course this customization is bound by the constraints of existing models and deck plans. For some yachtsman out there, a solution may be a complete custom build and if it is, TLC Yachts (Tartan, Legacy, and Custom) is the way to go! If you’re interested in purchasing a Tartan Yacht, a United Yachts Sales professional can assist you in your search. Being a 100-percent customer-driven business, United Yachts delivers every time by listening closely to your needs and budget, thoroughly reviewing the available options on the market, and taking the guess-work out of your boat search. Using a United broker to help you find the right boat or yacht for you can save you time, money, and a lot of extra work after the sale. And best of all, it costs you nothing. 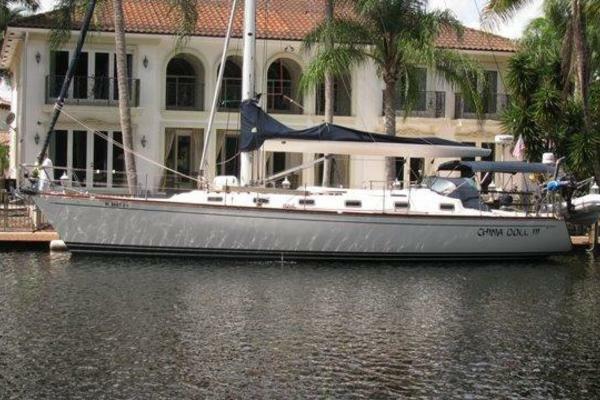 United Yachts Sales has experience and the product knowledge to sell your Tartan Yacht. Selecting the right full-service brokerage firm when selling your yacht improves the likelihood of a seamless and timely transaction. Listing your yacht with United Yachts, you can be certain it is in the hands of dedicated professionals. With over 15 years in business, our devoted Sales Professionals work attentively to provide you with first-class representation. Our industry-leading support team includes a listing team, marketing team, and closing team with decades of combined experience to make ensure the sale of your boat or yacht goes as smoothly as possible.